It’s not the first time I’ve been into something – how should I say this? – different. I had chickens before it was cool. Please, I’ve been doing this since I was five, WAY before it was the hipster thing to do. That of course seems to solidify said-hipsterness. I do not understand how to combat this problem. Last fall, my friend M and I went to a Fiber Festival. No, it was not a warehouse full of various digestion-boosting devices, small group friends. 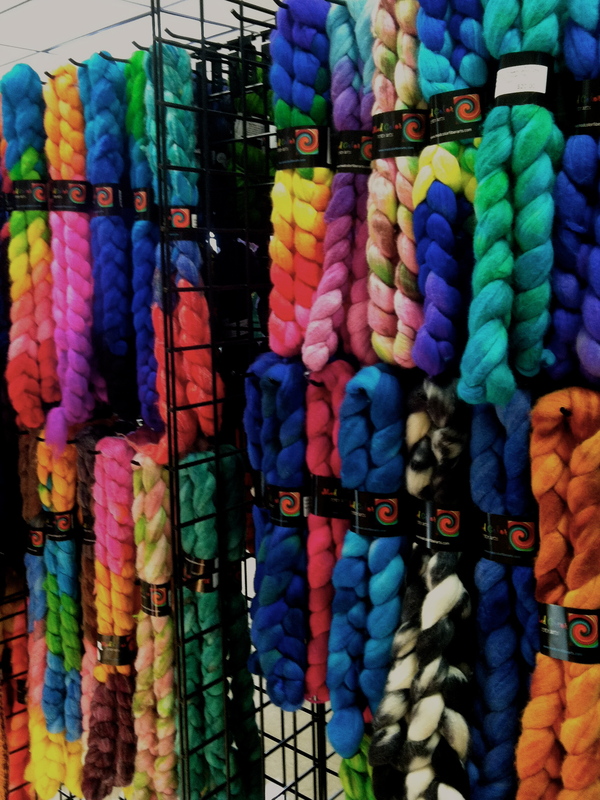 It was a warehouse full of yarn and yarn potentials. There was sheep, alpaca, bison, hemp, you name it. There were more colors than you could imagine, and there was undyed roving waiting to be made into art (roving is the clean, un-spun wool). 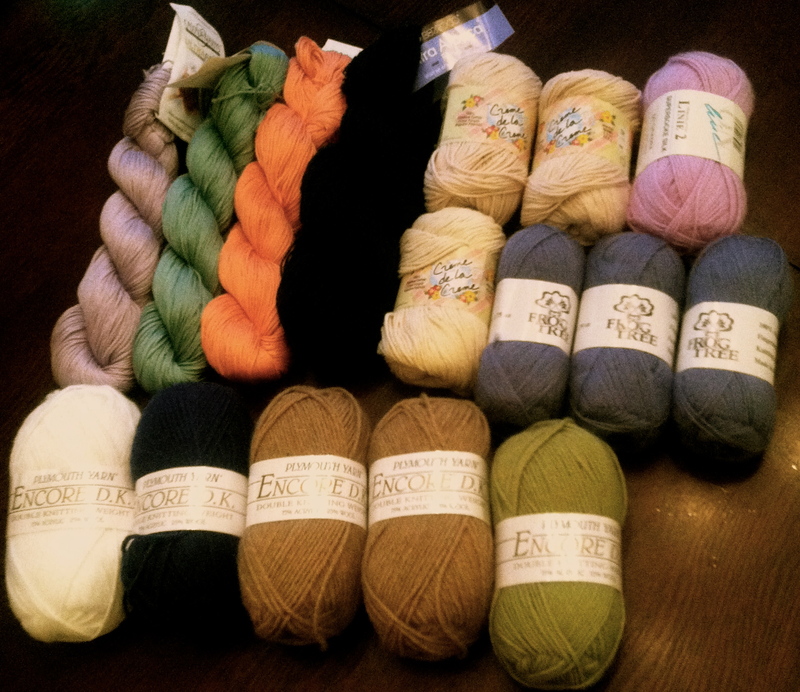 Despite my frustrations with the drop spindle, that festival got us addicted to yarn extravaganzas. 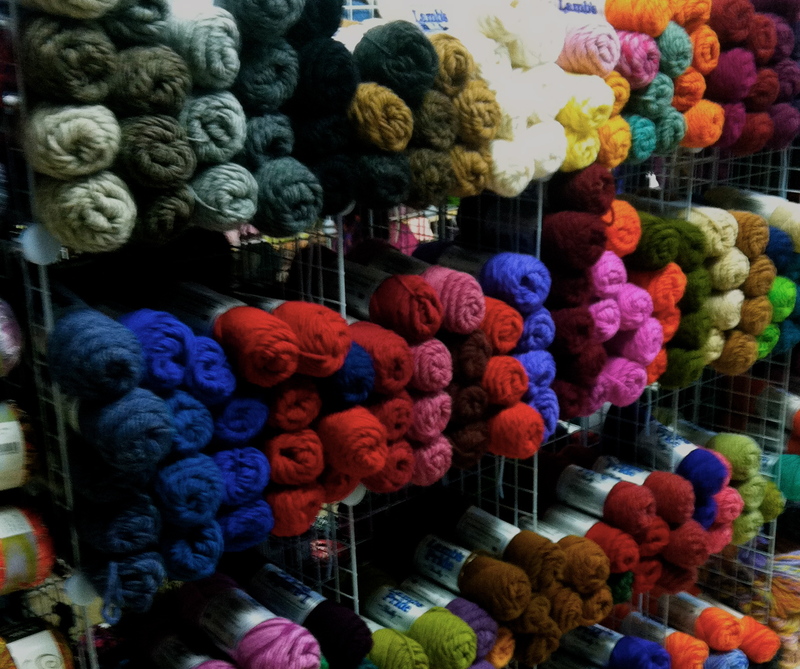 Yesterday, we donned our best-knit pieces and trekked out on the Fifth Annual Yarn Crawl. 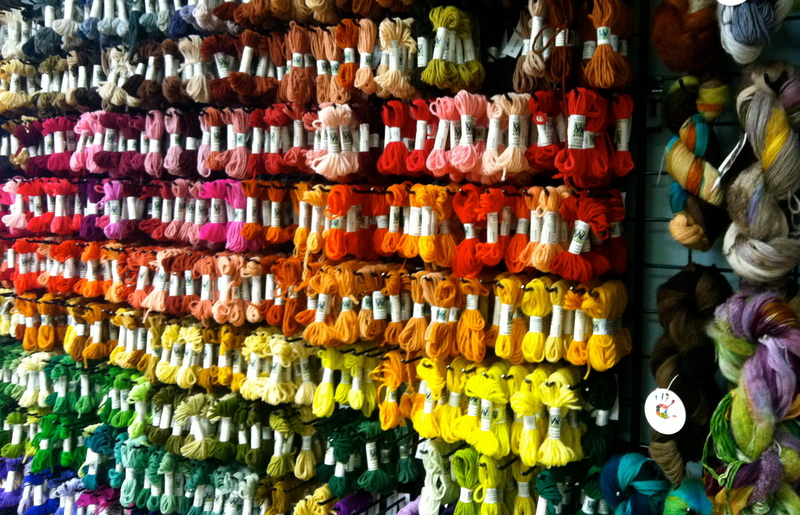 A yarn crawl is a weekend-long event where the shops in the area have special deals. You get a “passport,” and at each shop you get a stamp which enters you to win a raffle. (One prize was a beautiful afghan pattern and all the yarn to go with it. MUST HAVE IT.) We had seven shops to descend upon, so we made a route, starting up north and ending near the sea. I went with my ravelry pattern in hand, a few ideas in my head, but really, the yarn world was my oyster. We started the trip off right with chai tea lattes and a 50%-off rack. There are some things I will not feel bad about spending money on: books and yarn. I would add tea and coffee to that list, but that’s me. Get crackin’, people, so I can get knittin’. This is my next project. I am working under the assumption that my dear friend never reads this blog and will therefore still be surprised when she opens it for the darling. If she does for some reason see this post, pretend, by all means. 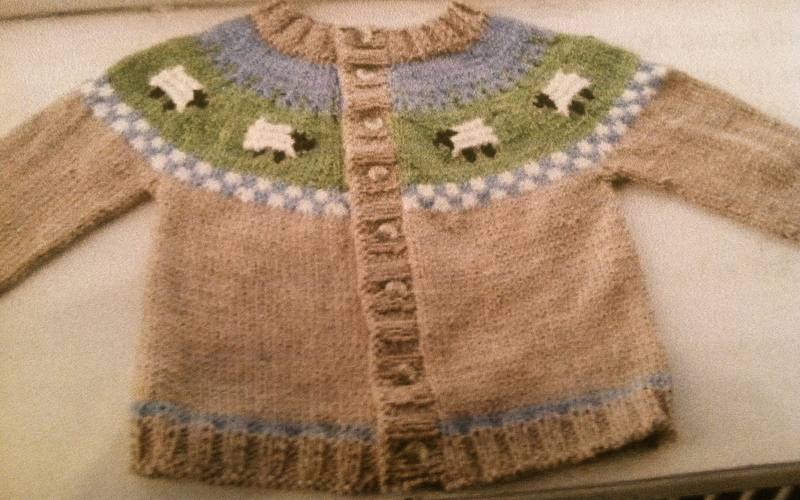 This entry was posted in out and about and tagged baby sweater, fiber festival, knitting, new places, people watching, yarn, yarn crawl on March 16, 2014 by catherine_hawkins.